On this day in 1985 the British Aerospace Harrier II had its maiden flight. The Harrier II is a second-generation V/STOL aircraft used by both the Royal Air Force and the Royal Navy under the Joint Force Harrier Organization. The aircraft was a derivative of the McDonnell Douglas AV-8B Harrier II, which itself was a derivative of the Hawker Siddeley Harrier. It saw operational deployments onboard the Royal Navy’s Invincible class aircraft carriers and has made significant contributions in Kosovo, Iraq and Afghanistan in both close air support and air interdiction roles. 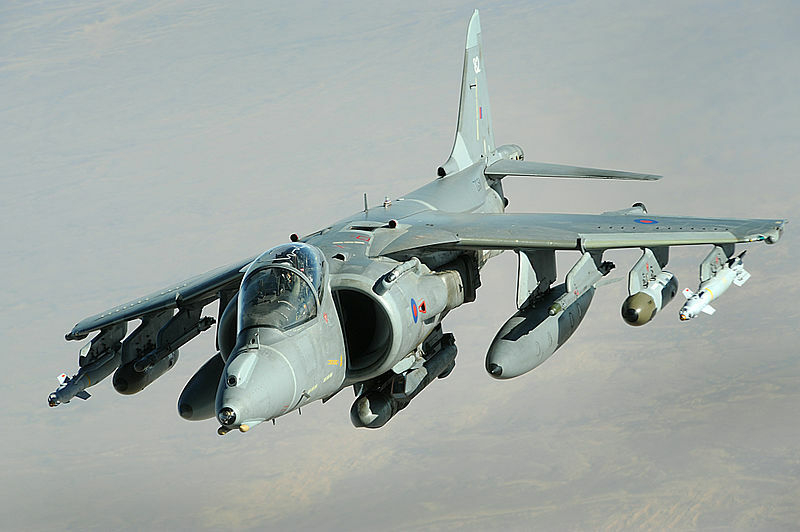 Budgetary pressures led to the controversial decision to retire all Harriers from service. The long-term plan is to replace it with the F-35 Lightning II but for the time being the British service uas a capability gap as there are no fixed-wing aircraft to undertake its roles.